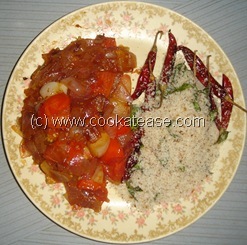 Onion and Tomato chutney is easy to prepare at short notice. Chop onion, tomato; grate coconut. Heat a pan with few drops of oil; fry red chilli,curry leaves and coconut by adding one by one. Transfer it to a plate and keep aside. 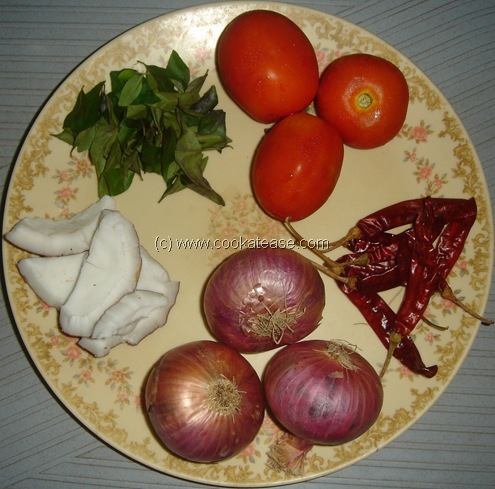 Now add onions and fry for a while till onion is transparent; add tomatoes and fry till soft. 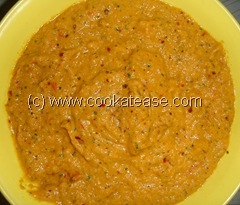 Allow the fried items to cool and then grind with salt by adding water as required. Suits well with Dosa, Idli , Adai and Uthappam. 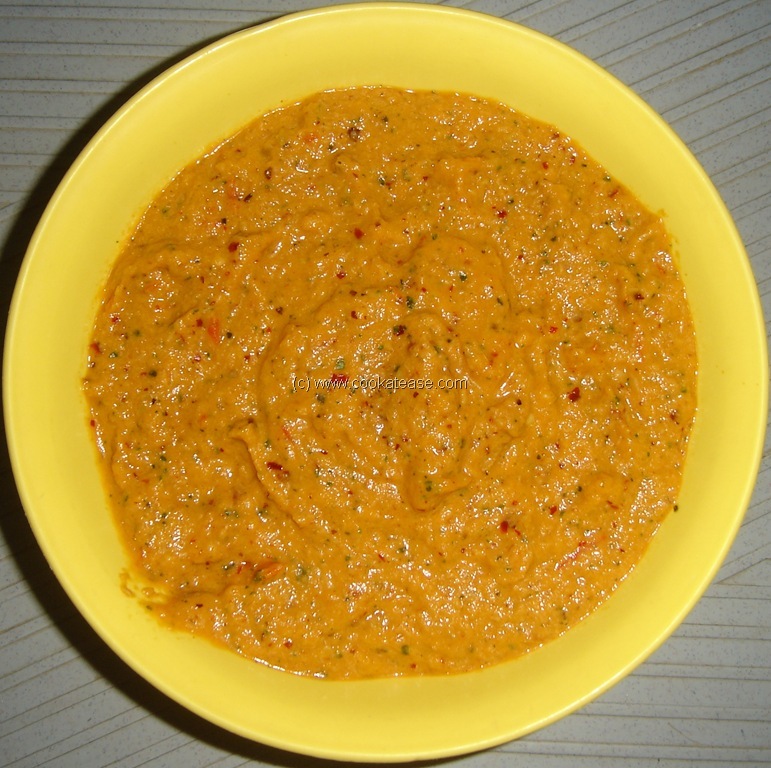 Onion and tomato chutney is very tasty. The grated-coconut when heated, the aroma is so mouth watering, and goes very good with dosa. Onion and Tomato chutney is very tasty and easy to prepare.